Crossfit Life Performance is a community of fitness aficionados who subscribe to and aspire towards the principles of the Crossfit training programme. They offer small group classes led by hardworking, certified trainers. Crossfit is a workout programme that combines strength, endurance and conditioning. Know the world over for its intensity, it is unique in that it does not target any one body area, but rather is a holistic physical development programme. It is not just about lifting weights, or running laps, or swimming lengths. With Crossfit Life Performance it’s all about the coaches, because finding the right fit is paramount to having a worthwhile fitness experience. The trainers scale the workout according to your athletic ability, so the myth of Crossfit being too intense is not justified. It is only as intense as you want it to be. Coaches Vijay Raj, Rohit Yadav and Adhish Chhabra offer different classes and teaching techniques, so a visit to the location to meet them is recommended. 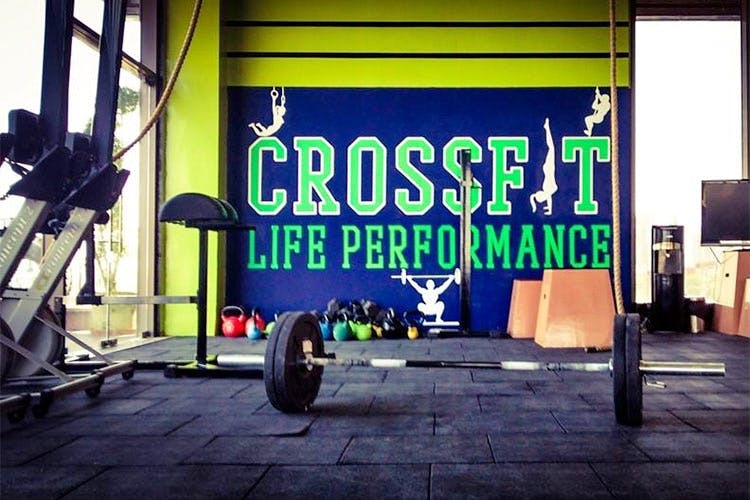 Life Performance also offers Gurgaon’s only Crossfit class for children, aged five to 12. The programme pairs fitness with fun activities to encourage children to participate in the workouts. These classes take place on Thursdays and Saturdays at 5.20pm. Rates are approximately INR 3,000 a month. You can find more information about these classes on KleverKid.